Starting this month, late March-ish, Miami’s killer traditional Mexican taqueria, Taquiza (AKA “Casa de Masa”), is expanding and joining the recently-renovated hotel, the Broadmoor Miami Beach, in anticipation of Ocean Terrace’s future revitalization. Taquiza – North Beach will be located oceanfront at 7450 Ocean Terrace in Miami Beach (that means sun, sand, and the sea breeze), with a whole lot more seating than the O.G. Taquiza (Taquiza – South Beach), both inside and out. With its historic Art Deco style, the team behind Taquiza will debut a freshened-up space boasting beautiful natural woods, hand-drawn signage by Chalk & Brush, and the brand-new look of Taquiza’s logo, colors, and tagline. 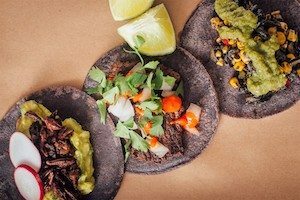 Taquiza fans and newbies alike can expect the same hand-crafted menu as Taquiza – South Beach including 12 “Tacos” (Al Pastor, Carnitas, Cochinita, Chorizo, Asada, Barbacoa, Lengua, Pollo, Camarón, Huitlacoche, Rajas, Chapulines), four “Not-Tacos” (Totopos with optional guac, frijoles, and salsa; Elote; Quinoa; Squash Blossom Quesadilla), and two breakfast options (Huevos a la Mexicana and Chilaquiles). Recently making their menu debut include a revamped Al Pastor taco, featuring grilled pork, achiote, pineapple; a brand new Quesadilla de Flor de Calabaza (squash blossom) with Chihuahua, cotija, epazote, y frijoles; and Cochinita taco, featuring marinated pork, slow-cooked in banana leaf with guajillo chile and achiote. Perhaps the most exciting addition to this new location (for the 21+ crowd) is a full bar program! While Taquiza – North Beach will still offer traditional Mexican sodas (in glass bottles), a rotating craft beer selection, house-made sangrias, wine, and an all-new Michelada (using their own spicy house mix), Taquiza will open with six hand-crafted cocktails, developed by Nikos Mantzaridis and a mysterious young gentleman whose resume consists of The Broken Shaker, as well as other noteworthy drinking establishments. Point, Set, Match! 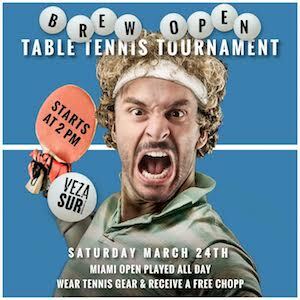 In celebration of The Miami Open coming back to Key Biscayne, VEZA SUR Brewing Co. will be hosting the Brew Open, an all day table tennis tournament on Saturday, March 24th, starting at 2PM, for locals and beer lovers alike. Come to the brewery dressed in tennis gear and receive a Chopp on the house! 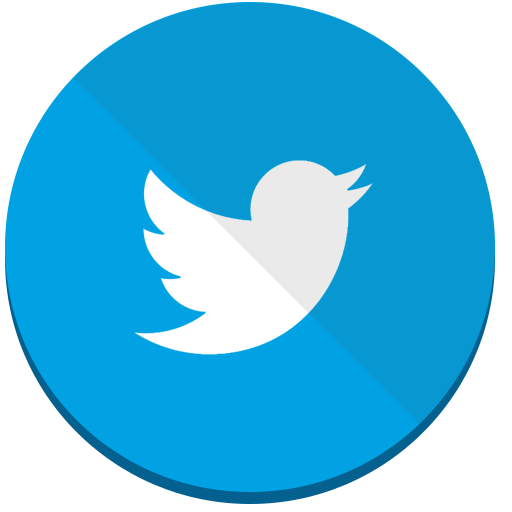 The event is open to the public and free to enter. Enjoy mouthwatering food from the onsite food truck, Baja Bao, and wash it all down with an ice cold brew on tap. 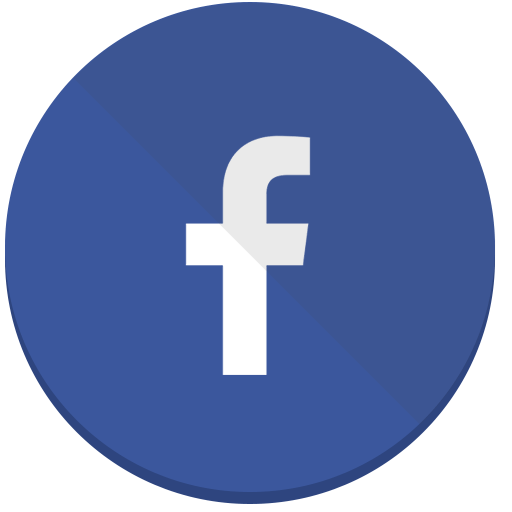 VEZA SUR has also welcomed their newest beer to an already extensive beer lineup – the Guarapo Red Ale on Nitro – brewed with fresh sugar cane and new American hops. 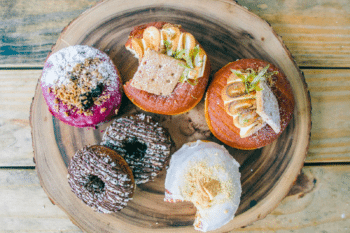 Since its pop-up opening in December of 2016, The Salty Donut has brought wrap-around-the-block lines, creating a cult-like following – one that to date has not died down – for the innovative, artisanal donuts. Fans, including celebs such as Venus Williams, Chris Bosh, Jonathan Cheban, Dwyane Wade and Juanes, come from near and far for the sweet delicacies. A few months after celebrating the one year anniversary of the Wynwood brick and mortar store, power couple Andy & Amanda Rodriguez are excited to announce the news donut fans have been waiting for – a second store is officially on the way! Miami’s first and favorite artisanal donut shop will be bringing its unique creations to South Miami late summer 2018. The store will open as part of a redevelopment of the historic ‘Fox’s Lounge,’ leased by DWNTN Realty Advisor Tony Arellano, in an adjacent building located at 6022 South Dixie Highway. The menu will be similar to the Wynwood location. It will include staple favorites such as traditional glazed, brown butter and salt, and guava and cheese, along with location specific chef’s specials. All donuts will be made on-site, allowing customers to see the process. The Salty’s unique coffee menu featuring Intelligentsia coffee will also be available. This Saturday, The 2nd annual BAM! Beer & Music Festival takes over the South Miami-Dade Cultural Arts Center. 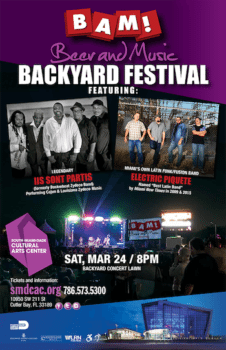 Starting at 8 p.m., attendees can enjoy beer samples and bites throughout the evening, while taking in the sounds of Il Sont Partis Band & Electric Piquete. For lineup information and tickets, visit the official website. Suǵar, the rooftop bar + garden at EAST, Miami, has refreshed its menu with new cocktails and food celebrating their Asian roots. 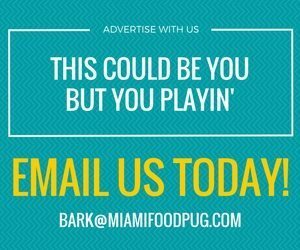 Residents and visitors alike can enjoy an added selection of twelve new cocktails and eight new food items while surrounded by a lush garden setting overlooking the Miami skyline. 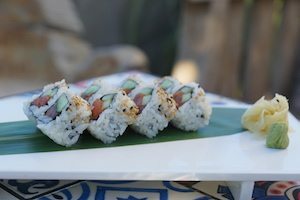 Continuing to offer innovative Asian cuisine, Suǵar’s latest menu additions include Bang Bang Shrimp, the Sugar Roll, the Tiger Lily cocktail and the Schezuan Tower dessert, among others. Suǵar’s new Bang Bang Shrimp plate includes crispy shrimp, drizzled with Japanese mayo and garnished with vibrant red-orange tobikom, sure to make your taste buds explode with flavor. Guests can also place an order for the self-titled Sugar Sushi Roll which features tempura shrimp, avocado and carrot, topped off with perfectly seared salmon. For after-dinner drinks and dessert, indulge in an energizing Tiger Lily cocktail, combining Zacapa 23 Rum with hibiscus, passion fruit, ginger beer and lime juice, before ordering a Schezuan Tower dessert that includes green tea, with chocolate and sweet Schezuan peppercorn, adding a subtle kick to the sweet treat. “The goal was to add some fun items to the menu like the Bang Bang Shrimp and the Schezuan tower dessert to complement our delicious cocktails and vibrant atmosphere,” said Ped Phommavong, Chef de Cuisine. For some cocktail and food pairing fun, indulge in the signature Sugar Roll with a refreshing Peony cocktail, mixed with Absolut Elyx Vodka, Zacapa 23 Rum, pineapple, coconut and lime juice. If you’re feeling savory, dig into a Beef Satay “Madura” with the Nashi cocktail, including Macallan 12 yr Whiskey, Hennessy Vsop Cognac, Lillet Blanc, nashi pear and tangerine. 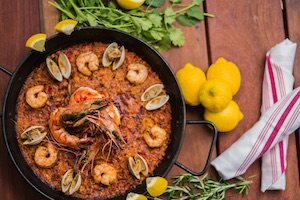 National Paella Day is quickly approaching on Monday, March 27 and what better way to celebrate the holiday than at Bulla Gastrobar in Coral Gables or Doral. To celebrate, the Spanish gastrobar will be offering guests complimentary samples of Spain’s most famous dish, Paella, al fresco during happy hour from 5 p.m. to 7 p.m. and $5 red sangrias all day! 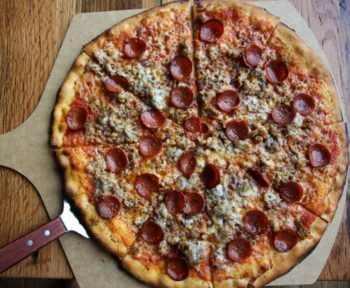 In the spring of 2017, matchbox vintage pizza bistro, headquartered in Washington, D.C., wowed the South Florida community by opening a two-level, 450-seat restaurant at Sawgrass Mills in Sunrise. To celebrate its one-year anniversary, matchbox sawgrass mills will be serving up limited-time menu items from April 16-22, 2018. For the week of April 16, 2018, matchbox sawgrass mills will offer an original Garlic Gulf Shrimp Pizza with garlic white sauce, tomato, Parmesan cheese, and basil (small, $14; large, $21); as well as a Roseberry Punch cocktail with blackberry gastrique, rosemary syrup, vodka, lemon, and bubbles ($10). In honor of National Autism Awareness Month, $1 of every special pizza sold will go to Autism Speaks, a nonprofit dedicated to promoting solutions for the needs of individuals with autism and their families through advocacy and support. 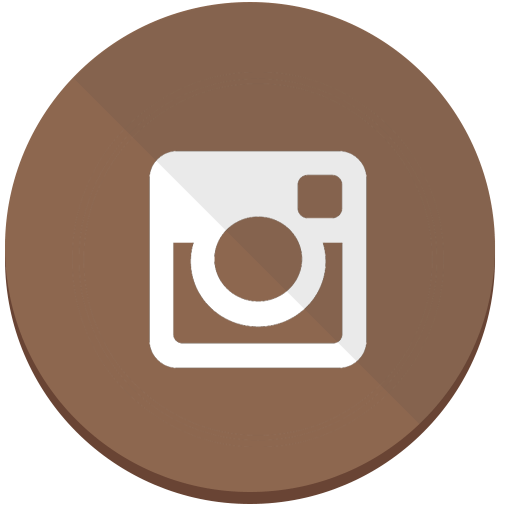 Guests can also receive a free “The Classic” brownie sundae dessert with the purchase of an entrée upon request/mention.